Spotless. CARFAX 1-Owner, Low MILES - 2,020! 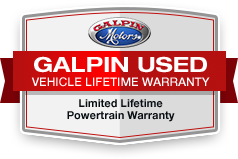 Serviced here at Galpin, Originally Sold at Galpin, Used Dealer Rental Vehicle. Keyless Start, Onboard Communications System, Smart Device Integration, Turbo Charged, Alloy Wheels, TRANSMISSION: 10-SPEED AUTOMATIC w/SE... iPod/MP3 Input, Back-Up Camera. Oxford White exterior and Ebony interior, EcoBoost® trim. This Mustang is One of our Ford Courtesy Vehicles. These are Low mileage used vehicles that are eligible for New Vehicle Retail Incentive Offers and the balance of the New Vehicle Limited Warranty. These vehicles were formerly used by our customers and cared for by our very own service department. Save hundreds of dollars on your monthly payment when you buy One of our Ford Courtesy Vehicles and still enjoy that New Car smell! Call us today to see this barely used Mustang in person and experience 'Galpin Used Car Difference'.